Tucked away in Northwest Kansas, the town of Hays should not be overlooked. This old railroad town settled by German immigrants after the Civil War has much to offer any visitor, especially during the upcoming holiday season. Offering the magic and spirit of the holidays minus the big crowds and never-ending traffic, Hays is home to the annual FrostFest. The celebration kicks off on the first weekend of November and runs through December. Visitors can enjoy numerous holiday-oriented family activities, highlighted with the Annual FrostFest Illuminated Parade on the first Sunday of December. 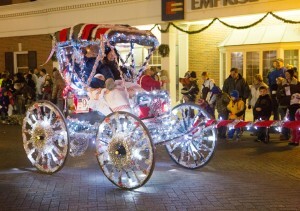 Carriage rides, visits with Santa, caroling and a festive tree lighting also take place throughout the season. On top of that, Hays’ rustic shops that will remind shoppers of simpler times and make it the perfect spot to kick off the holidays. 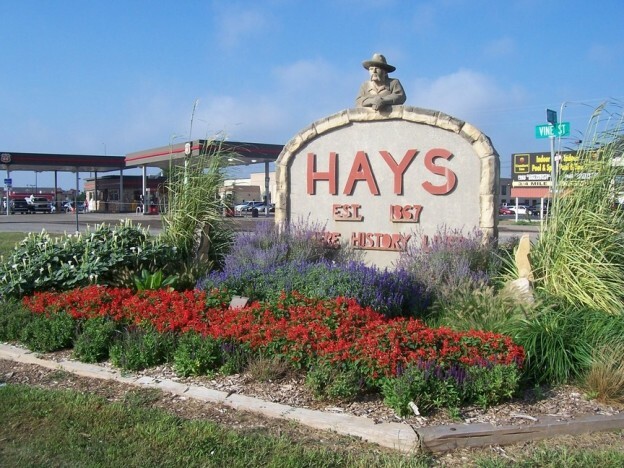 Hays was originally established as a U.S. Army fort near the end of the Civil War to station soldiers during the cold winter months and the Christmas season gave soldiers an opportunity to reconnect with activities they would have been doing at home. Today, visitors can take part in Christmas Past at Historic Fort Hays to see what life would have been like for those soldiers, including how the Fort would have been decorated in the late 1800s. They’ll also enjoy strolling the fort grounds and seeing living-history programs, luminaries and caroling. After the Army cleared out, German settlers began to make Hays their home and their influence is still felt today. More than 50 percent of the town’s population claims German heritage, giving this Old West town a unique feel at any time of the year. In particular, September and October are a great time to plan a visit to one of the Oktoberfest celebrations held in the community. Hays is also a fantastic destination for any art lover. In fact, the city boasts more artists per capita than New York City! Four times a year (one for each season), the Hays arts council coordinates a city-wide gallery walk that includes visual and performance arts around Hays. The Winter Gallery Walk adds to the already festive atmosphere felt throughout the town. Kick off the holidays with a trip to this charming and unique destination with convenient United Express flights from Denver, operated by SkyWest Airlines. The best fares can be booked at united.com.